From the workshop, City Move Interdesign in Gellivare Sweden, where I was involved earlier this year, the work has continued and I have now some uplifting news. The City Move is in progress! This Monday the municipality formally decided to begin the Vision and planning project ”New Gellivare”. The project is the result of the municipality and LKAB deciding to work more jointly on the future of Malmberget and Gellivare. The project itself however is of course owned and controlled by the municipality. The project will have two phases. The first is a vision phase, where a clear image of the future city will be developed. Citizens, local business will be brought into this process, beginning this fall. This phase can be thought of as co-design of a programme. The second phase is the more traditional planning process of taking the consequences of the vision and programme. The vision phase is scheduled to finish during fall of 2010. The whole project will end in 2012. The City Move Workshop made two very important contributions in making this happen. The first was to show a vast number of possibilities, which helped people realize that there are far more options than they thought earlier. 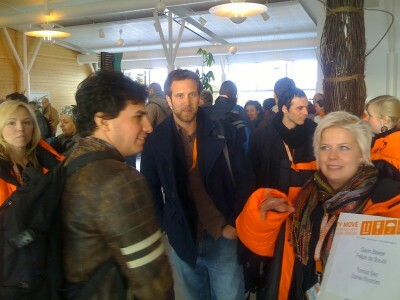 The other was the strong emphasis on the need for more collaboration between the municipality, LKAB and other parties. Icsid congratulates the participants involved in the workshop, these are some of the fastest and most impressive results they have seen from an Interdesign since these events started in 1971, City Move is a real benchmark for future Interdesign events. 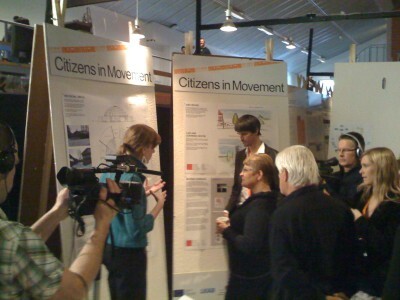 I am very happy and proud for being one of the participants contributing in City Move. Please, take a moment and have a look at these videos from our time in Gellivare/Malmberget, earlier this year! 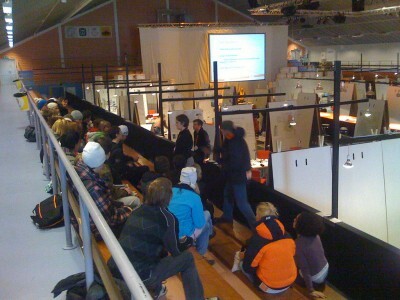 During 22 of Mars to 4 of April I was participating in the City Move Interdesign in Gellivare, Sweden. Read more about the outcomes and result on this link from ICSID’s homepage. Picture showing me and my groupmembers. From left Mr Nils Tvengsberg – Mexico/Norway, Rita Engler – Brasil, Sara Tunheden – Sweden, Daniel Byström – Sweden (me), Filippo Salustri – Canada and finally Widianto Utomo – Indonesia. Together we were ”the magenta goup”. Instead of focusing on moving a city, our group focused on Citizens in Movement. 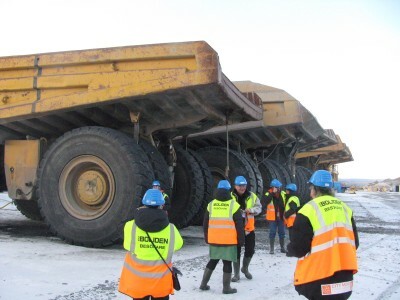 Our findings dealed with how the people of Gellivare/Malmberget can get included and engaged in the moving process, and also engaging as well as forcing the municipality and LKAB to take a larger responsability. A united vision of tomorrow can create a positive spirit, and make the people moving forward together. If you are interested, you can read more about the outcome from our group on this blog.